Frank made this delicious salad for Friday’s supper. If you don’t eat prawns you could substitute with some fried tofu or just have the salad as is. 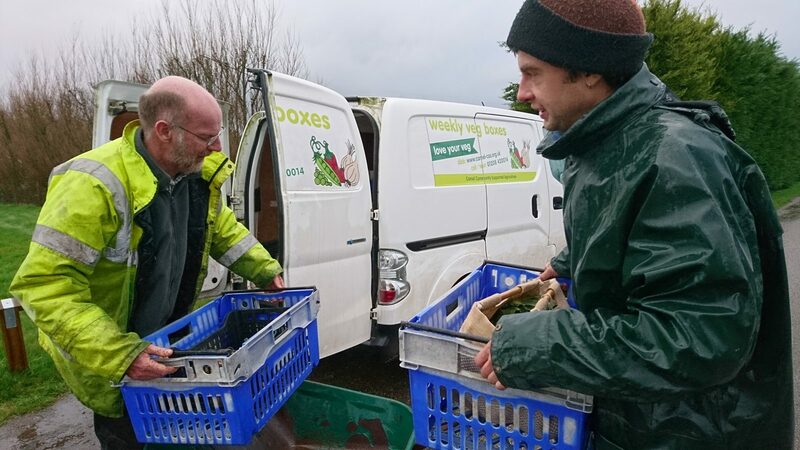 Frank used the radishes and bean sprouts from this week’s veg boxes for an extra bit of crunch! First make the dressing because you’ll use it to marinate your prawns. Very finely chop or mince the garlic and chilli. Place these in an empty jar and then add all the other dressing ingredients. Shake well until the sugar dissolves. Taste – you can adjust the level of spice, saltiness, sweetness or sourness according to your tastes. Place the prawns in a dish and pour over a little of the dressing, just enough to coat. Refrigerate while you prepare the other ingredients. Deseed and cut the cucumber into fine matchsticks and place in a bowl. Next, finely slice the shallots and add these. Then prepare the pomelo/grapefruit – remove the skin from each segment so you only have the juicy centre. Break the segments into chunks. 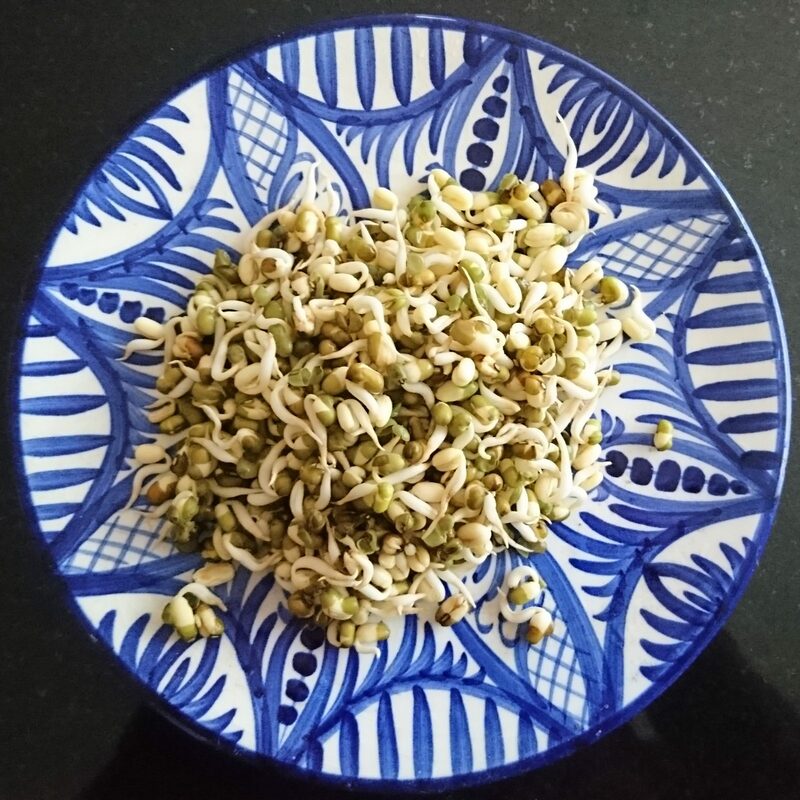 Add to the bowl along with the chopped mint and coriander and the beansprouts. Finally prepare the cashew nuts. Spread them out on a baking sheet and bake in a hot oven for about 5 minutes until they are golden. Alternatively you could brown them under a hot grill. 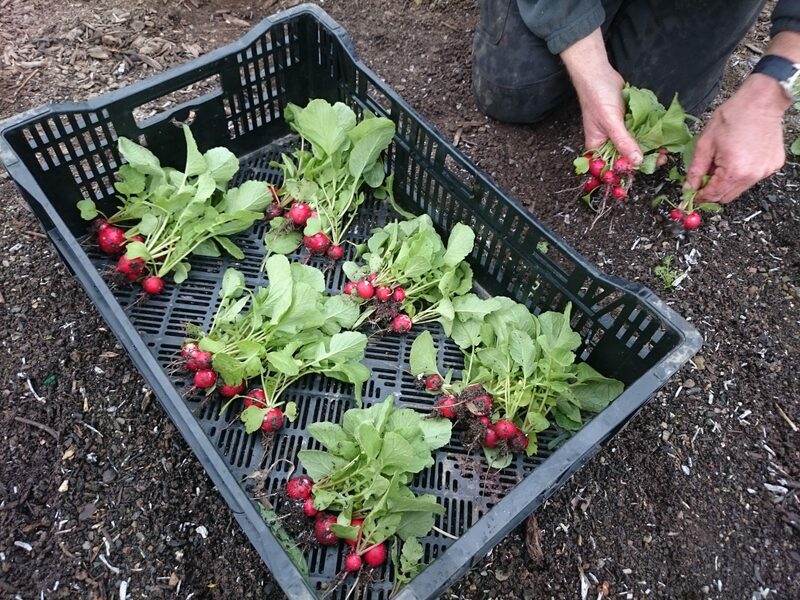 Once they have cooled coarsely chop them and add them to the salad. Next cook the prawns. Heat a griddle pan on a high flame with a little olive oil. Once the oil is hot place your prawns in the pan. Cook until the prawns are pink and firm but they should not become tough – about 2 minutes each side should be enough. Take the prawns off the heat and allow to rest while you dress and plate the salad. 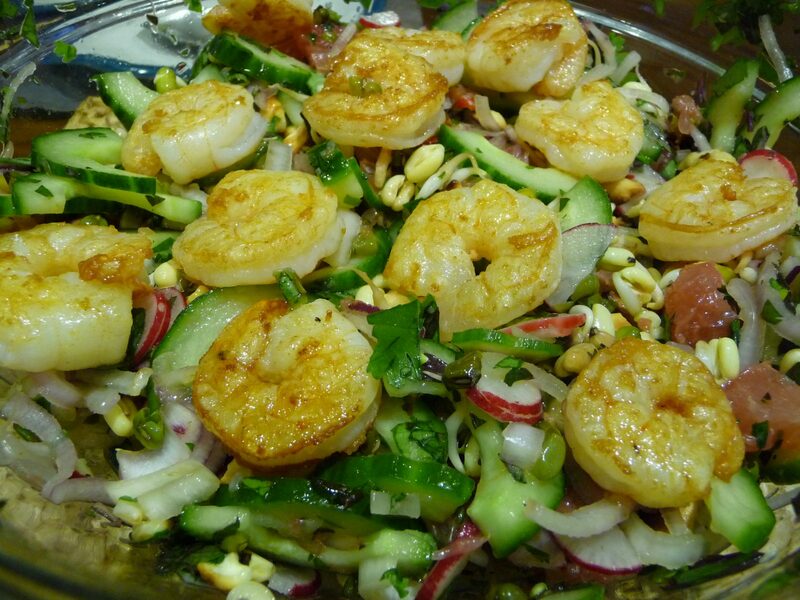 Dress the salad and divide evenly between the plates before placing the prawns on top. 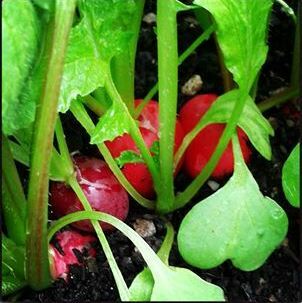 There’s nothing quite like the taste of sweet and crunchy new radishes as we come into spring. Please wash all vegetables and fruit. All produce grown by Camel CSA unless otherwise indicated. 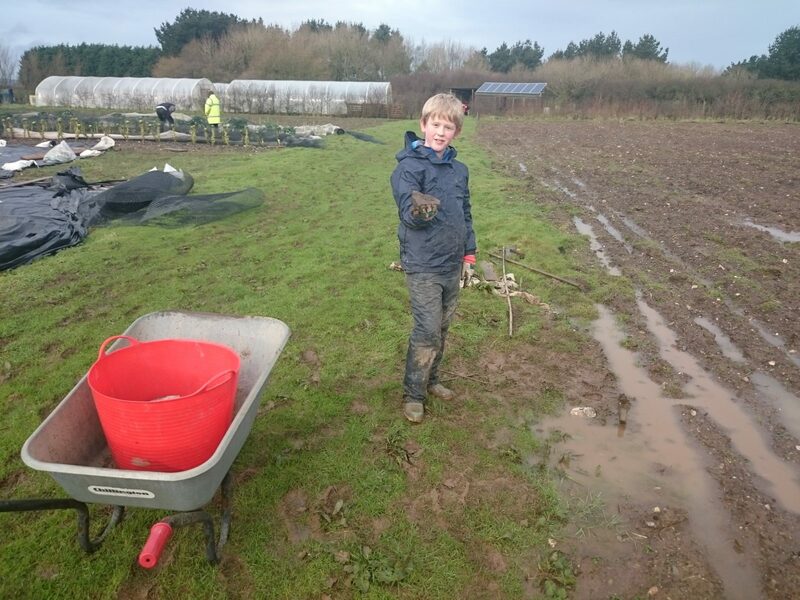 It’s exceptionally muddy on our site after Storm Imogen brought torrential rain and high winds to Cornwall. Lots more freshly-picked and flavoursome veg to enjoy in Camel CSA’s weekly vegetable boxes.